Kia ora and haere mai, welcome to the thirteenth instalment of 9mm for 2018, and the 185th overall edition of our long-running author interview series! 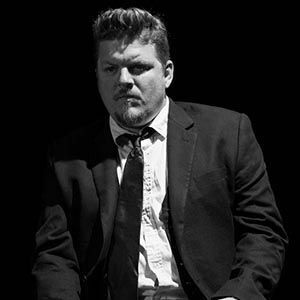 Today I'm very pleased to welcome Southern noir writer Eryk Pruitt to Crime Watch. I met Eryk at Bouchercon in Toronto last year, when I popped into the “Confined Crimes: Small town settings" panel, where Eryk was on a panel alongside Karin Salvalaggio, Mindy Meijia, Lori Roy, and Susan C. Shea to talk about "the advantages and limitations of using a smaller stage for crimes". Having grown up in a small town in New Zealand myself, akin to a suburb closely surrounded by rural countryside, I've always been a fan of small-town and rural noir. It was a fascinating session. Eryk is now based in Durham, North Carolina, but grew up in a small town in East Texas that was destroyed by a tornado. He's also lived in New Orleans, Louisiana so is a 'southern man' through and through (though each of those three southern states are quite different in a number of ways, distinctive and unique while sharing something of a frontier mindset and heritage). He's a bit of a storytelling polymath: he's published short stories, three crime novels, has a regular radio show about crime writing, and has written and produced short films. He's also working on a true crime podcast, focused on an unsolved Durham double-murder from 1971. That podcast should be coming out soon, so keep an eye out for it. But in the meantime, Eryk Pruitt becomes the latest crime writer to stare down the barrel of 9mm. No question: Rene Shade from Daniel Woodrell's novels collected in THE BAYOU TRILOGY. Shade is a former boxer-turned-detective in the ramshackle Louisiana parish of St. Bruno. 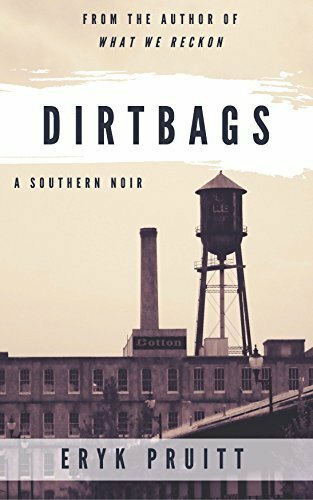 The books perfectly pay their debts to Dashiell Hammett and Raymond Chandler, but plant Shade deep into the South. I'm a fan of all of Woodrell's books, but I deeply admire the ambition of this early work. I wish for nothing more than for Woodrell to say what the hell and pick up the series again. I earned a Literature degree, so I've read a lot of books. But I wouldn't say I LOVED them. I read and wrote for school and, frankly, not all the books in canon were speaking to me. (I still despise me a Bronte) However, when I found a tattered copy of Clay Reynolds' AGATITE on a roommate's floor, it began my love for crime fiction. This book was the perfect gateway drug. It's deeply literary, but the suspense is King-worthy. The main character of Roy Breedlove tops the list of downtrodden Texas noir protagonists. His foil is a lawman who's Texas through-and-through. And the book blows up in your hand about three quarters of the way through. It changed the way I read and I revisit it every two years. I cut my teeth screenwriting. After years of unpublished manuscripts and unproduced films, I wrote a script for a short film titled FOODIE. My wife dared me to get it made myself. I found a director, Christopher G. Moore, and ten of the most talented actors the world has ever seen. Sixteen film festival screenings and eight top awards later, I realized I never wanted to do anything else in life but tell stories. I knocked out a couple more short films, but I'd always wanted to write books. I wrote short stories to practice my voice and published over thirty short stories in three years. Those, and others, will be collected for the first time this October 16 in a collection titled TOWNIES AND OTHER STORIES OF SOUTHERN MISCHIEF by Polis Books. I keep a vegetable garden and I enjoy bourbon by the glassfuls. Other than that, I think every other activity - researching, film-making, reading, traveling, watching movies, conversations - is somehow associated with the practice of writing. Come to think of it, so is the bourbon drinking. Every summer I plant around thirty tomato plants with some eggplant, peppers, squash, okra, etc. I love working in the backyard when I need to step away from the writing desk. My wife and I have made it into our own little getaway. I currently live in Durham, North Carolina, which made popular both the cigarette and the baseball card. I give walking (and bus) history tours through downtown for Brown Hat Tours, where I discuss all the fascinating criminals, tobacco barons, and entrepreneurs that gave the Bull City its "durty" reputation. Along the way, I've been known to duck my head inside a brewery or a taco stand, so that folks get a good feel for the Carolinas and what they have to offer. If I got half the performance from Wesley Snipes that he put into Passenger 57, I'd count myself a very lucky man. He's fallen on hard times, but my life has not always been easy either. If anybody could pull off my signature look, I believe Snipes could and, besides: "Always bet on black." Being the oldest of four children, I will always have a special affinity for my first: DIRTBAGS. When I wrote it, I didn't care what anybody thought. I put pure, unadulterated me into every word on that page. There are bits I had carried around with me since my grade school days. There are autobiographical moments. There is the sum total of all the books I've read and loved and it all went into one book with only the slightest concern what anyone thought. I left it all on the playing field. I wanted to write my own Jim Thompson novel and I have always been proud of the way it turned out. I queried agents and editors for six months after I wrote DIRTBAGS. Every day, when I woke up, I'd find a rejection letter in my Inbox. I got so used to seeing them, that I actually felt more of a failure when I didn't find one waiting for me. When I finally got an acceptance, I stared at the screen for a long time, wondering what I was supposed to do next. I checked the IP address against the IP addresses of known pranksters, wondering if they were pulling one over on me. I went for a long walk and second guessed everything I ever wanted in life. A couple of hours later, I finally sat my wife down and delivered the news. She was the one who told me it was OK to celebrate. I was signing copies of my latest novel, What We Reckon, in Nacogdoches at the coolest bookstore you've ever seen called The Bosslight. I'm halfway through a conversation with a delightfully eccentric man in a top hat telling me all about his history with alien abductions when I look up to see a literary hero, Joe R. Lansdale, standing in line to get an autograph... from me. While that may have been strange and unusual for me, I understand it's pretty indicative of a normal afternoon in Nacogdoches, Texas. Thank you Eryk. We appreciate you chatting to Crime Watch. You can learn more about Eryk and his rugged crime storytelling at his website, and follow him on Twitter.